One of the sweetest love stories ever told is also one of the strangest — and one of the most controversial. 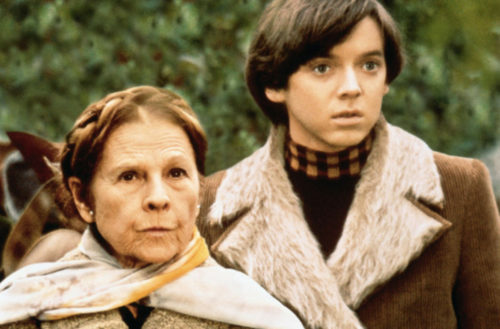 The film is Harold and Maude, made in 1971; and the story of a young man and and old woman falling in love was a commercial disaster when it came out. But years later, it’s become an absolutely vital cult hit. The story began as a thesis project at UCLA. At that point, it was a 20-minute short. Writer Colin Higgins was a student by day, and earned a living as a pool boy for producer Edward Lewis. At one point, Higgins mentioned the script to Lewis’ wife, who persuaded her husband to take a look. He bought it immediately, but although Higgins insisted on directing the film, Paramount refused to accommodate the request, believing the fresh-out-of-school writer was unready. Hal Ashby was brought in to direct instead, but he maintained a close relationship with Higgins — only taking the job with Higgins’ approval. Ashby made sure to bring Higgins onto the set so he could learn the craft of directing. Paramount was very nervous about Ashby as a director. He was considered an “acid freak,” with long hair and a San Francisco vibe. His previous experience was mostly in film editing. The casting of the film could have been far stranger: for the role of Maude, producers considered Agatha Christie — that’s right, the murder mystery writer. For Harold, they also looked at Richard Dreyfuss — then an unknown, he wouldn’t become famous until American Graffiti in 1973. Still, the shoot was a grueling experience. Ashby nearly quit the film a few weeks before filming started due to studio interference. And Bud Cort nearly drowned while shooting the famous opening scene in which he’s face-down in a pool. Cort employed method acting, which made the suicide scenes emotionally taxing. His methods occasionally alarmed the other actors, particularly the woman who played his mother when he kept flipping her off. 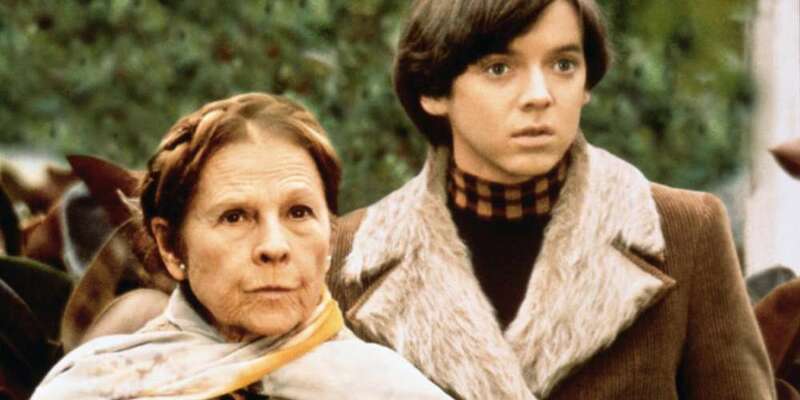 During filming, Cort became very close with Ruth Gordon, who played Maude. She was standoffish at first, he later recalled, but his father died during filming and she took him under her wing to comfort him during the difficult time. When it was released, it was a huge financial failure. Nobody wanted to see a movie about a young man and and old woman falling in love, despite the uplifting message of finding your own self-worth. It was particularly hard for Cort to find work after the film came out. Not only was he typecast, but he had insisted that Paramount give Ashby creative control of the edit, threatening to avoid doing any publicity if they didn’t. After that, he had a reputation of being hard to work with. Since it’s disappointing initial release, the film has found an audience — generally with younger viewers seeking affirmation. If you’re feeling aimless, as Harold does in the film, the movie provides a sort of philosophical foundation on which it’s possible to build yourself up. That’s no small feat for a film written by a college student.